I had an inspiring meeting recently as my dedicated client had read my blog’s aspirations on social empowerment and motivational thought. In fact, I am so glad that he also encouraged me to go further in blogging besides constant favourable support to nurture progress in social entrepreneurship development in Malaysia. Encouragement from others always ignites inner-inspiration to go forward towards excellence in career as well as living. One of the simplest way to get self-encouragement is from reading motivational books and to be honest that reading was not my favorite activity to do until the year that I enrolled into college. Since then, it became one of my inspirational source of encouragement until today. I have created a modest study room in my house with the purpose to encourage my career commitment at all times. It becomes my unofficial working studio. It also works as a foundation to nurture reading habits to my children for their academic sake. It is the place that we gather almost every night to settle up all things that matters in day time. I hope it would be a good foundation as a source of encouragement and motivation for them as well as me… family first. positive mindset, appreciate religious values and lead a happy family living. Those who knows how to managed and develop himself, his family as well as inspires others. People who had a dream and despite rejection after rejection and failure after failure finally achieved their goal. Their stories gave me tremendous encouragements about what was possible for my own life. 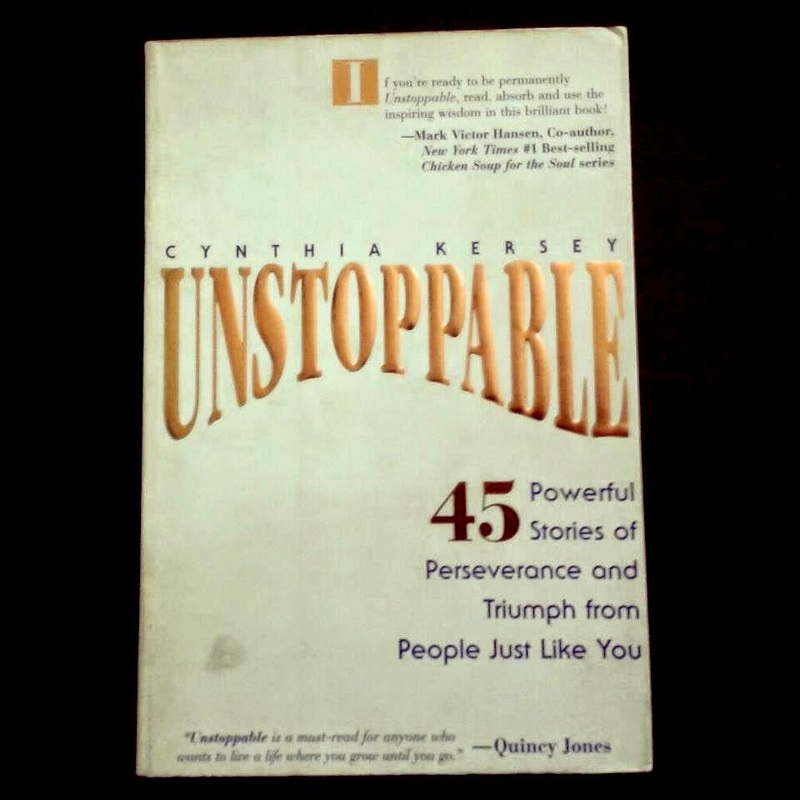 Here in this blog, I would love to share to you my dear dearest reader friends, about a book titled “Unstoppable” written by Cynthia Kersey. It is the book which has significant impact in my life and always fuel my efforts towards accomplishing goals. A well written of 45 stories and brief bibliography of ‘unstoppable individual’ who has succesfully managed to go through thick and thin in achieving his goals and objective. Even though I’m not as good and outstanding as the people in the book, I just love the book as it really inspires me in pursuing life goals. In fact, it makes me wanted to share her book in the name of encouragement. 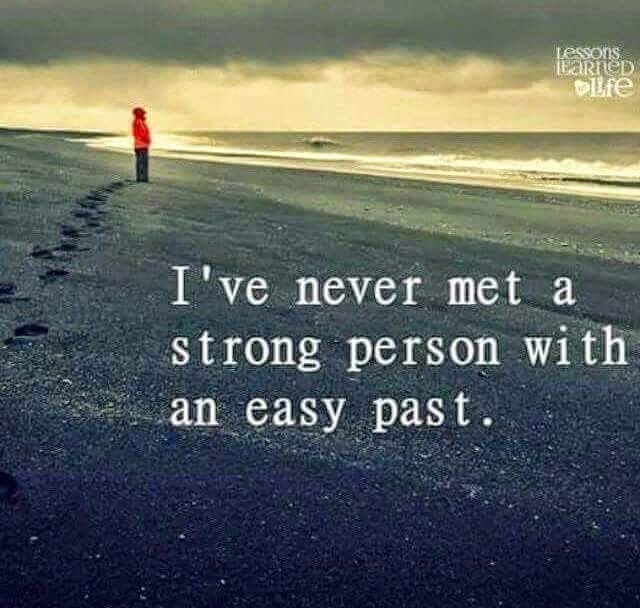 If you are still unclear on your unique calling or if you are concerned about looking back on a life that lacks meaning and believe that you are destined for far greater things your life is currently experiencing, it is a right motivational book that can assist you to discover specifically what you were put on this planet to do. It is a book of encouragement that really something worth to read and think about. I believe each and every one of us have unique calling as God has not created anything better than reason or anything more perfect or more beautiful than reason. Together with this faculty to discriminate and discern, we has been given the freedom to choose for ourselves a way of life worthy of his position as God’s Representative or to fall lower than the lowest all animals or creations. In order to inspire our life to live more passionately and pursue our life goals with more conviction, we need to gain good examples as inspiration and encouragement from others. As we already know that one day every one of us will have to face death. When we leave this world, we leave little more than what we said and what we did as an example. It is our legacy or our lasting mark whether to our community, colleagues even to our family and off springs. While we still alive, may God bless us as we travel on our own destiny with peace, determination, encouragements and His guidance towards excellence in this world and in the hereafter.. aameen. p/s penerbit mana buku tu? Subhanallah.. Allah the Almighty.. Allahuakbar. Tapi tak pernah jumpa lagi buku ni. salam singgah..membaca menambah pengetahuan di samping memberi inspirasi dan juga motivasi. masih sebeban yg belum dibaca. Malah masih bnyk sampul plastik yg belum dibuka pun. Sedihnya huhu. suka baca sesuatu yang boleh buat saya berfikir, tak semestinya bersetuju.